I have in 2016 decided to support the Child Cancer Foundation in Denmark – and I do so by both by being a gold sponsor and by cycling to Paris for Team Rynkeby. Team Rynkeby is a Nordic charity cycling team, which every year cycles to Paris to raise money for children with cancer and their families. 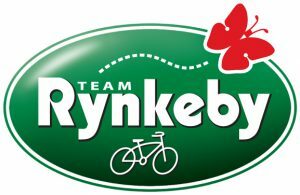 Team Rynkeby was founded in 2002 when 11 casual cyclists associated with the Danish juice producer Rynkeby Foods A/S decided to cycle to Paris to see the finals of the Tour de France. Throughout the majority of a year, the participants do not only have become able to cycle the roughly 1,200 km to Paris – they also obligate themselves to make an effort to raise money for children with cancer and their families. Rynkeby Foods A/S covers all of the project’s central costs, which means that the money that Team Rynkeby collects in each country, can be donated to local children’s cancer organization in the respective countries. In Denmark, the collected funds go to the Children’s Cancer Foundation.